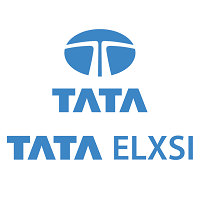 Company Profile: Tata Elxsi is amongst the world’s leading providers of design and technology services for product engineering and solutions across industries including Broadcast, Communications and Automotive. It provides technology consulting, new product design, development, and testing services. Tata Elxsi also provides solutions and services for emerging technologies such as IoT (Internet of Things), Big Data Analytics, Cloud, Mobility, Virtual Reality and Artificial Intelligence. - Must have cleared ayll papers / Subjects in single attempt in each of the semesters. There should not be any backlog in any of the semesters. Joining location: Trivandrum. Candidates need to be flexible for other locations (BLR, TVM, CHN,PUN) as well. - College ID/Any other Photo ID.